When we talk about technology first thing which pops up in our mind is computer. Computers are of various type but most superior and high performance computers on earth are called as super computers. Super computers have best processing capacity and calculation speed on earth. 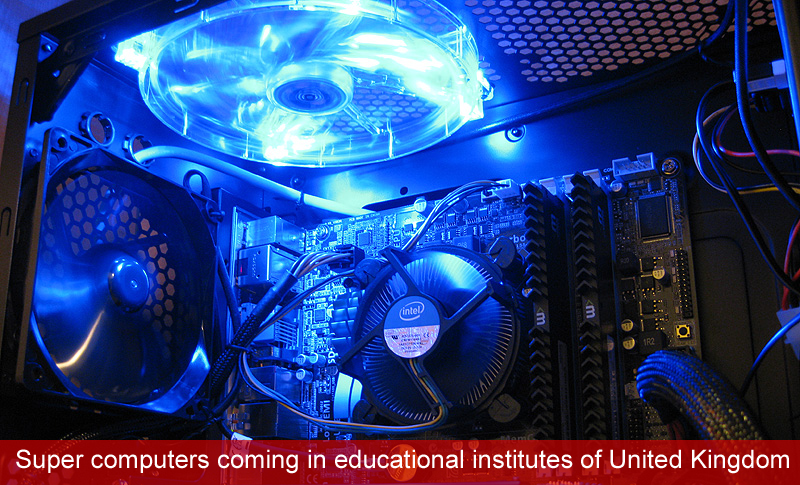 They are very costly but some best educational institutes are spending millions on them. University of Southampton spent approx 3.2 million pounds on a super computer, one of the most high performance machine in the United Kingdom. It is one of the best and superior machines in United Kingdom having 12200 processors, each of them can do one trillion calculations per second and it’s Iridis4. It measurement is referred to as a “teraflop”. Other specifications are million gigabytes of storage disk space and 50 tera bytes of memory which is a wonder in itself. Its manufacturer is IBM. Usually in our homes the general capacity ranges from 500 GB to 1 TB of disk space and 4 Gb to 6 GB of memory. The usage of this super computer will be in multi dimensions majorly research in fields of engineering, medicine, computer science, information technology and archaeology. Every developing nation is focusing on technology development especially in the field of computers. The most powerful super computer is considered as Tianhe-2. This beast can perform 33860 trillion calculations per second. University also said that this machine is among the top 10 of UK. The best and powerful among all super computers in UK is at the Science and Technology council in Warrington. There is presence of super computer in other places like University of Edinburgh, the European centre of Media Range weather forecasts and United Kingdom meteorological office.